A young girl has acquired a fresh perspective about wearing a prosthetic limb since she was able to help design the device through 3D technology - and for just $50 dollars. The day after her blue-and-pink colored ‘robohand’ rolled off a 3D printer at the Build It Workplace on Tuesday in Orange County, California, Faith Lennox was already pedaling a bicycle around the company's parking lot with apparent ease. 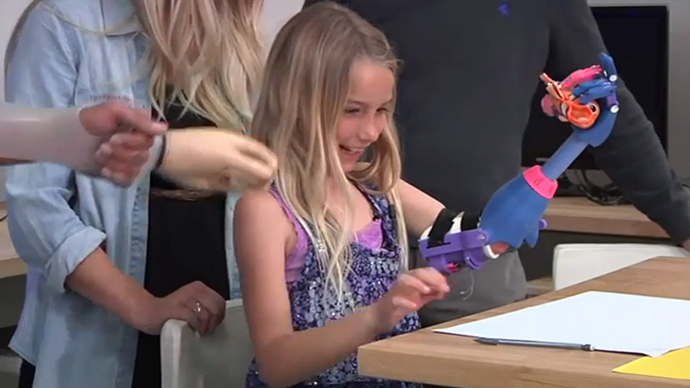 The 3D hand “has made it easier for her to balance,” her mother, Nicole Lennox, told AP. “She can distribute her weight more evenly without having to lean so far” when attempting to steer with just one hand. The company that produced the hand, Build It Workspace, was founded less than a year ago by mechanical engineer Mark Lengsfeld. He told AP he has used 3D printers to create a number of products, “from pumps for oil and gas companies to parts for unmanned aerial vehicles,” but this was the first time his company worked with prosthetics. Lengsfeld admitted to reporters he was nervous about how the hand would work. "But she did fine with it," he said, laughing. Mark Muller, a prosthetics professor at California State University who helped with the design, said heavier variants with sensors connected to a person's muscles cost as much as $15,000 to $20,000. 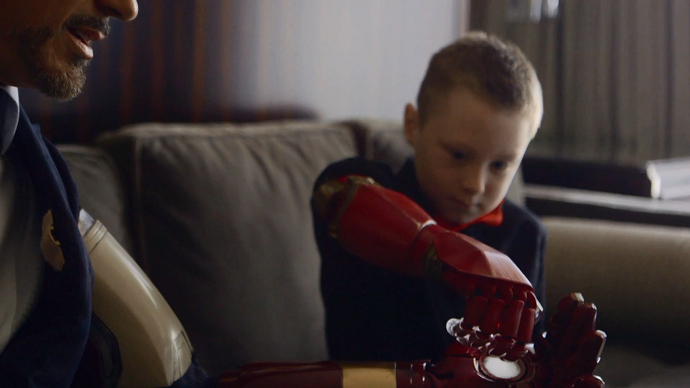 By comparison, the 3D prosthetic weighs just one pound and comes with a very affordable $50 dollar price tag, which is an important consideration since children outgrow such devices in about six months to one year. Faith suffered from a condition known as compartment syndrome, in which the fetus’s position at the time of birth restricts the flow of blood to an extremity, causing irreparable damage. After failing to rehabilitate her left arm, doctors were forced to amputate just below the elbow when the girl was 9 months old. 3D printer technology has witnessed a surge in popularity of late thanks to its relative low cost and lightweight materials involved in the process. This month, Chinese 3D tech company Sanya Sihai unveiled an electric-powered sedan that cost just $1,770 to manufacture. 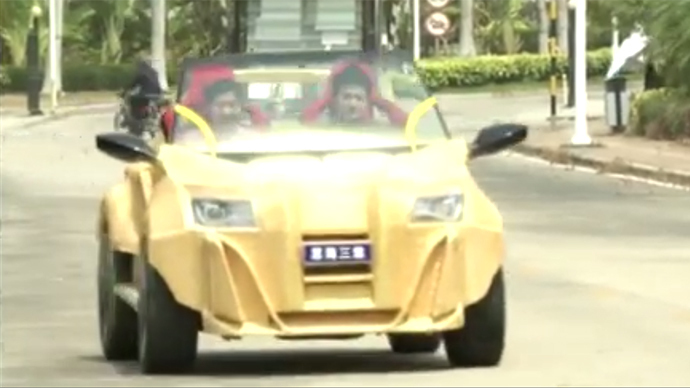 Building the vehicle reportedly took six weeks, with the printing part of the process taking about five days. In April 2014, the privately owned Chinese WinSun company, built 10 full-size houses using a huge 3D printer in a single day.